In 2002 real-life rapper Eminem starred in the hip-hop movie 8 Mile, as a young white Detroit rapper struggling with his life and to launch a rap career in a genre dominated by African American artists. 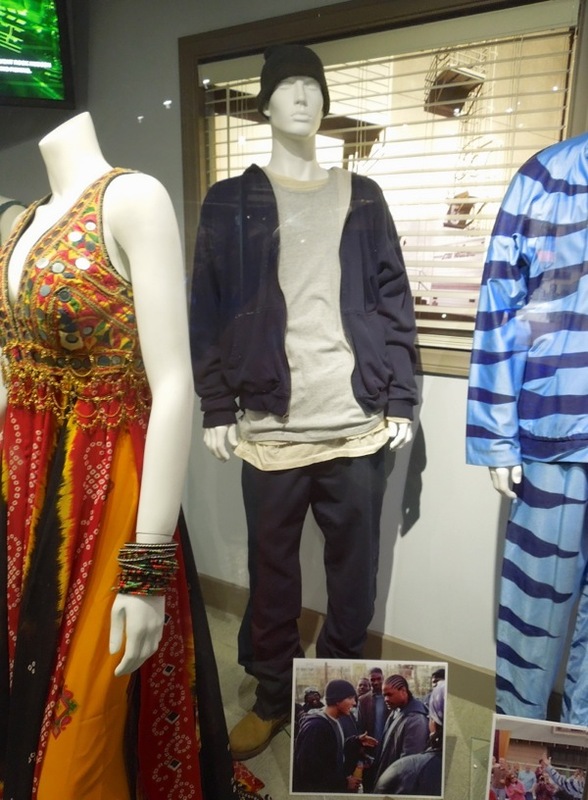 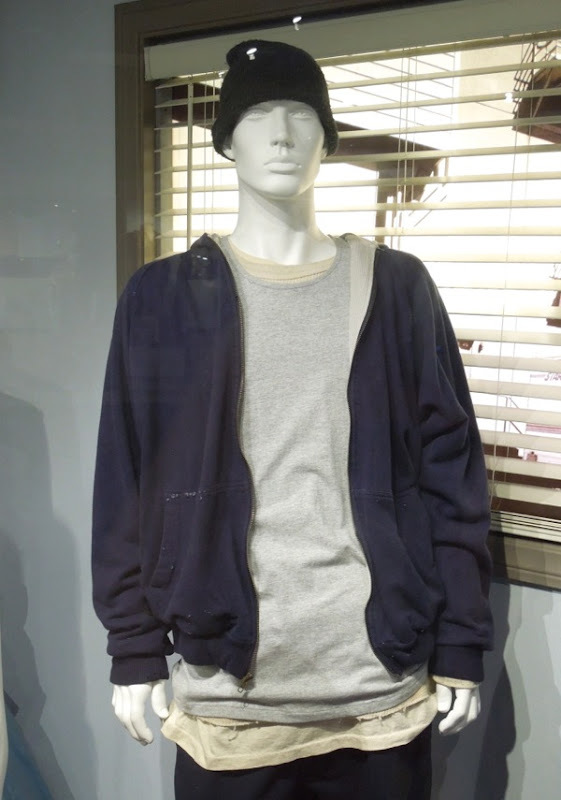 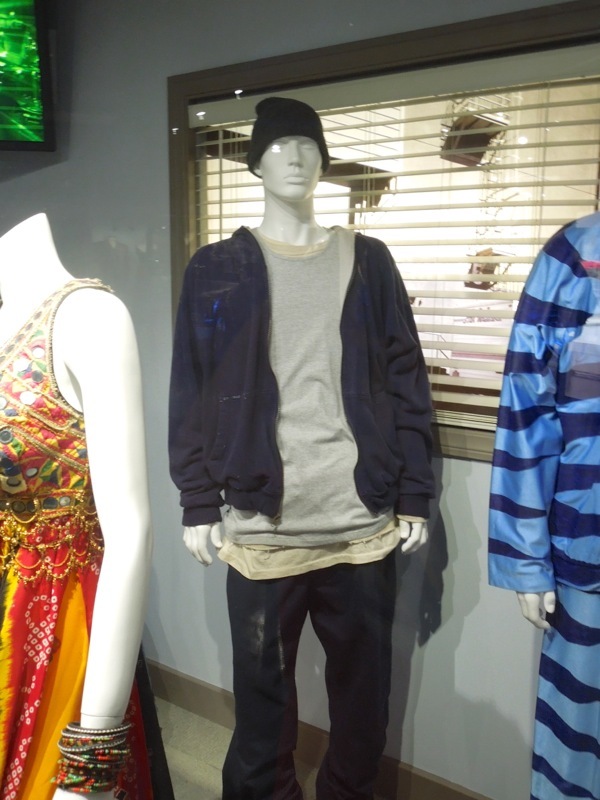 Mark Bridges was Costume Designer on 8 Mile and here's one of the outfits Eminem wore in the movie, described as a rap battle costume in this exhibit at Universal Studios Hollywood on May 7, 2013. 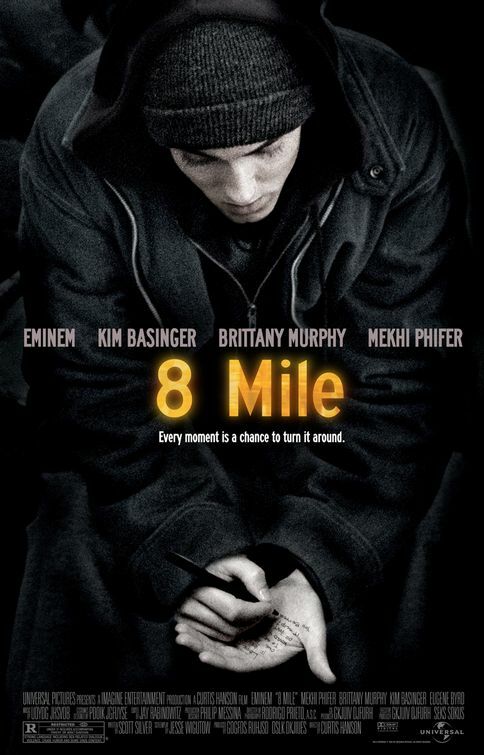 As well playing the lead character, Eminem also won the Academy Award for Best Original Song for 'Lose Yourself', the first ever rap song to win this highly coveted Oscar.